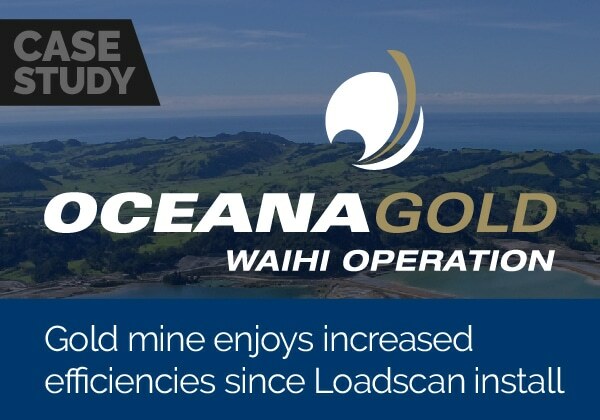 LoadScan provided a cost-effective solution to many of the common problems experienced by the mining industry. 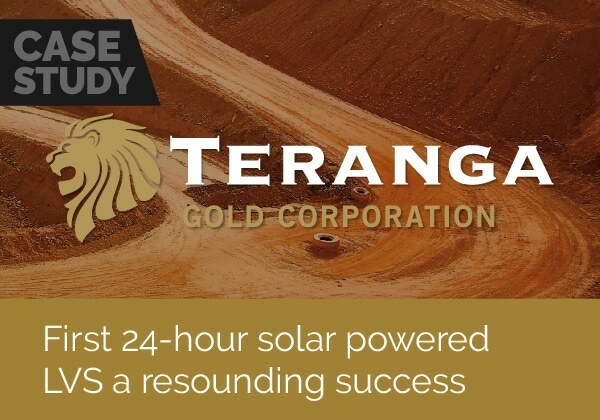 ODOD Gold in Mongolia came to LoadScan requiring a customized solution to their problems. 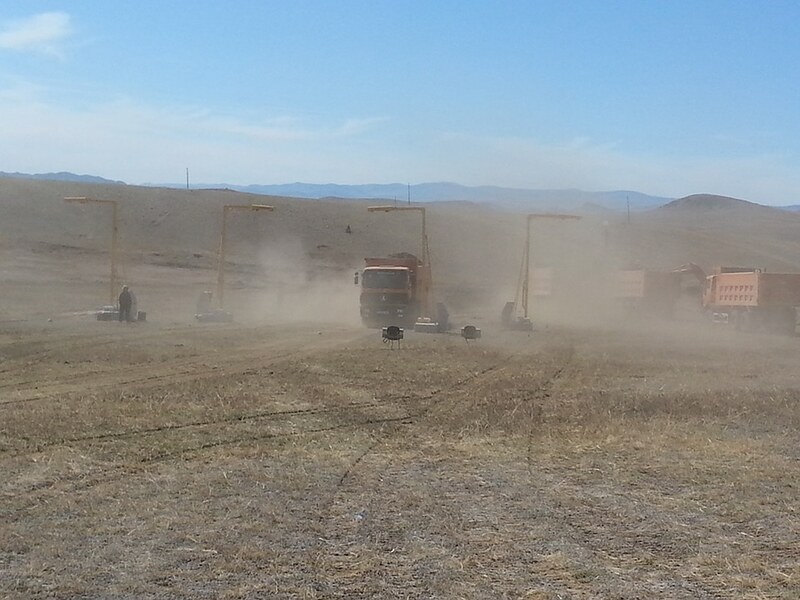 50 trucks, 4 trucking contractors carting overburden and pay gravel on the mine site. Truck loads were being manually counted by people on the ground and drivers were recording load information and truck measurement calculations by hand. Truck measurements and payments were based on a 15m3 load size. System was prone to human error and potential duplicity and corruption. Potential haul-backs (dirt/material stuck in trays) were decreasing and distorting the total quantity of materials that were being shifted. Trucking contractor payments were calculated manually at the end of every month. 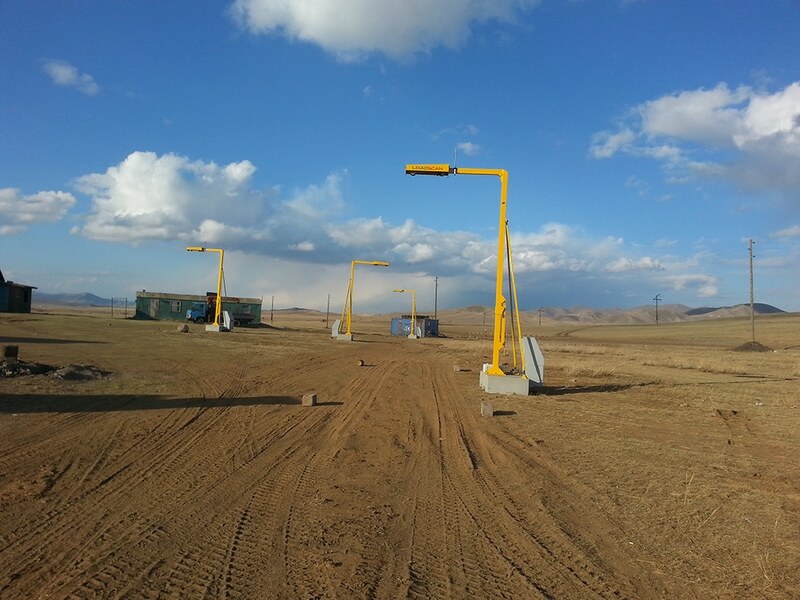 In March 2013 LoadScan sent 4x LVS-3BMP Load Volume Scanner truck measurement systems to ODOD in Mongolia in a 20ft shipping container. LoadScan technical staff were present onsite at the time of arrival to co-ordinate the system installation. The LVS-3BMP Load Volume Scanner truck measurement system was setup with Wi-Fi repeaters with a range of approximately 3km. The system has shared database of truck IDs and all trucks were fitted with RFID tags. Centralized truck monitoring was setup from the central control room of the mine. All trucks are scanned and correctly identified by the Load Volume Scanner system. Measurements are recorded along with contractor name, truck ID as well as the date and time that the scan took place. All loads are sorted by contractor and retrieved using the LoadScan OverViewTM software allowing accurate and expeditious monthly invoicing. ODOD Gold ordered 3x LVS-3TMM mobile truck measurement Load Volume Scanner units in 2013 and another LVS-3BMP Load Volume Scanner truck measurement unit in 2015. Load reports are now completed daily. End-of-month reports and invoices are issued without discrepancy and payments are accurate and without dispute. 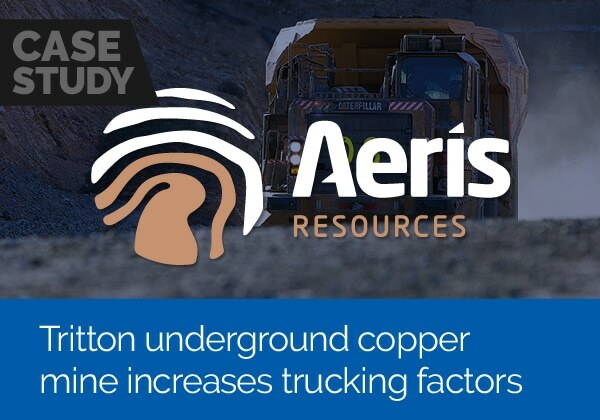 2013 average volume measured was 38,000 cube per day, by the end of 2014, after the introduction and implementation of the LoadScan Load Volume Scanner system, with 70 trucks on site, this figure had risen to 75,000 cube per day. The LoadScan Fixed Load Volume Scanner is perfect for applications where there is a permanent site office. The fixed truck measurement unit is hardwired to the office giving instant load data access to the operations staff, as well as the added convenience of out-of-the-weather operation. The standard LoadScan Fixed Load Volume Scanner truck measurement unit includes a concrete pre-cast mounting block, however custom solutions for unique mounting points can easily be catered for. For a fast and fully mobile truck measurement and load scanning solution – the LoadScan mobile Load Volume Scanner (LVS) is the answer. The fully self-contained mobile truck measurement unit can be driven to a site and be fully setup and operational in as little as 45 minutes. There are a range of power options, plus the ability to transmit truck measurement load reports via Wi-Fi. 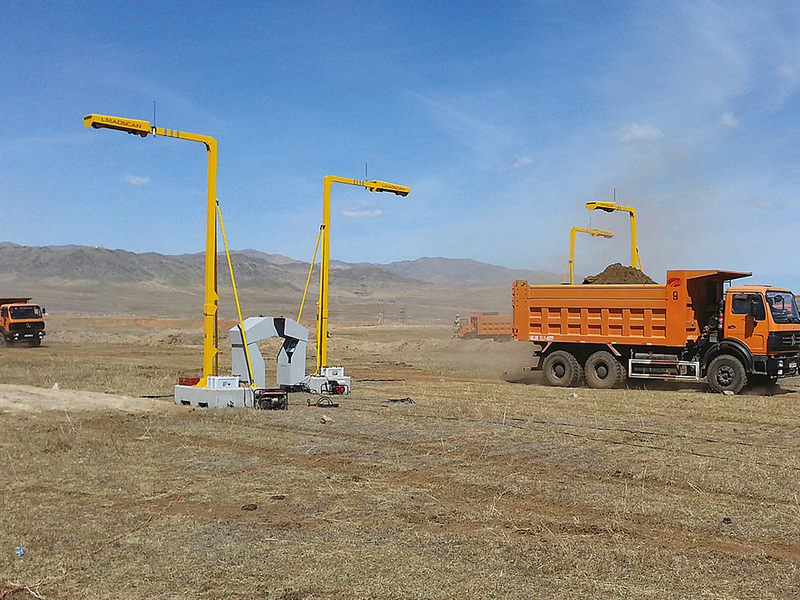 Unique to LoadScan, the mobile truck measurement unit has made it possible to measure and monitor loads in temporary locations that were previously going unmeasured.